Welcome A4727 to the AQUANOX Family! 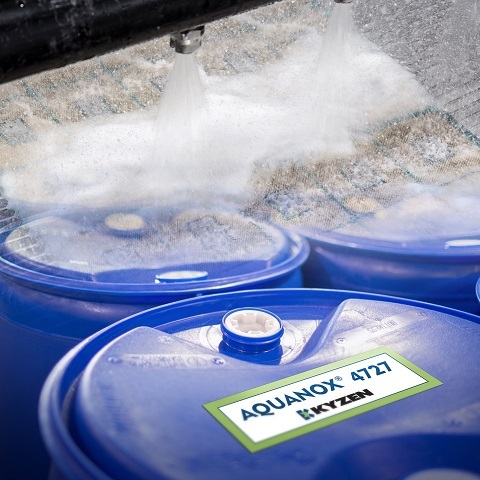 AQUANOX A4727 is engineered to be effective, stable and predictable, all day, every day. It is designed for reliable production and assembly operations. Meet your performance cleaning requirements with advanced technology that gives a stable pH and predictable compatibility throughout its long bath life. Environmentally responsible, AQUANOX A4727 is non-hazardous and biodegradable. It contains no CFCs or HAPs and can be used at low concentrations to effectively remove even the toughest soils, and rinse easily and completely. This easy to control and cost-effective solution is a good choice for both in-line and batch cleaning systems.